Any of you who have followed me for any length of time know that I'm not one to promote products here on The Bruised Reed Blog. This is one of the very rare occasions I'm going to violate that general guideline, and I'm doing it for a couple of reasons ... and, no, one of them isn't "because I was paid to do it." This is not a paid review. For one, I believe in the American institution of entrepreneurship. While it is not an avenue that I have chosen to follow in life, I realize the vital role entrepreneurs and small businesses play both in a local economy and the transforming of lives. Individuals and families often take a tremendous personal and financial risk in order to live a little bit of the American dream. Secondly, while I support small business, I'm very seldom genuinely impressed with the early stages of products I see produced or distributed by these ventures. When I do find something I really like, I enjoy passing that information along. Tone - The bottom line: if they don't sound great, they're not worth buying. I prefer a brighter tone, but I have tried/heard both the brighter/lighter and the warmer/heavier offerings from this company. You actually get exactly what you expect. American made quality - I enjoy buying products that are made in the USA with the old standard of real American quality. Whether you're looking at the 80/20 bronze or the phosphor bronze, you will feel the quality straight out of the package. Value - You won't beat the value of these strings, especially if you buy in bulk. 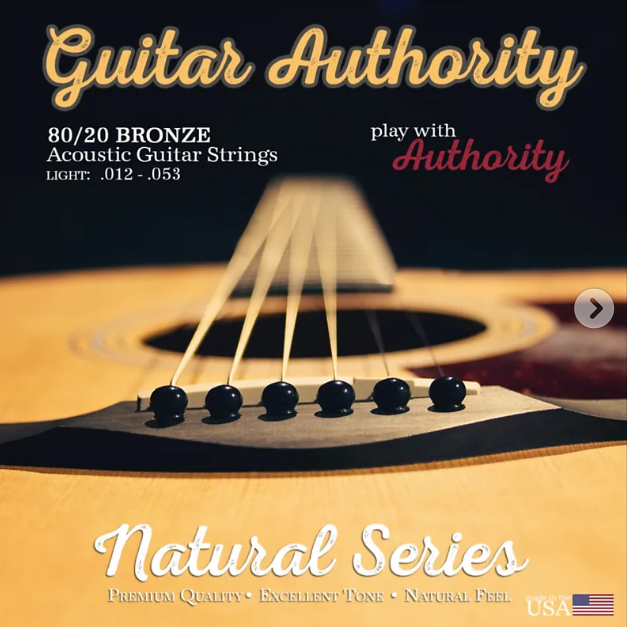 Guitar Authority offers 3 packs at a price comparable to what you would expect to pay for a single set of top quality strings. Durability - Obviously, you want to change your strings regularly. But what of you're one of these "set it and forget it" type people? The durability of these strings matches or exceeds any other product I've tried. 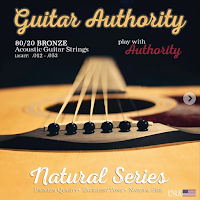 So, if you are a guitar player looking for quality accoustic strings that are American made and distributed by a family owned small business in the Midwest, go to www.GuitarAuthority.us and check out what they have to offer. Order before April 9th and get 5% off any of their product using promo code REED5. Who Is God & What Does He Want? I am the Founding Pastor at Christ Fellowship in Lebanon, Missouri. Since 1999 I have been learning how to live in God's Kingdom by the grace of Jesus Christ having served in ministry for the past 20 years, including 8 years of labor in World Missions in Latin America. 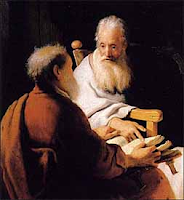 "And Jesus rebuked Thomas..." Or did He? This site is free from copyright. If you share, please give rightful credit to the author. Picture Window theme. Theme images by enjoynz. Powered by Blogger.